Biotech is changing the world, and everyone knows it. There is nothing more exciting than hearing about the newest biotech apps and gadgets that will help us maintain our health for years to come. Many people have been talking about the huge number of digital health products at CES this year. So we decided to focus our attention on the products that use biochemical or chemical sensor technology in new and creative ways. Biosensors are our passion and our expertise, and where we see the largest potential in digital health products in the long term. So here are our top 5 biosensor health tech gadgets from the global consumer electronics and consumer technology tradeshow in Las Vegas, Nevada. Imagine knowing what was happening in your body, in between doctor visits? Lumee, an implantable sensor which is placed under the skin, will allow for continuous long-term monitoring of your body chemistry. 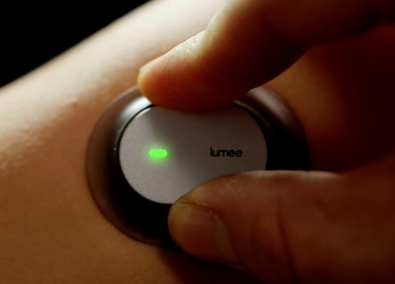 Lumee uses a non-invasive florescence based biosensor to monitor oxygen levels. Glucose monitoring is also in development. Applications range from diabetes monitoring to fitness patterns. Tracking your health or the health of a loved one from your own home will revolutionize the health industry – but how quickly will people be to adopt an implantable sensor? Welcome to the future of calorie counting. With DietSensor, you can scan the molecules that make up your food to track your calorie intake. 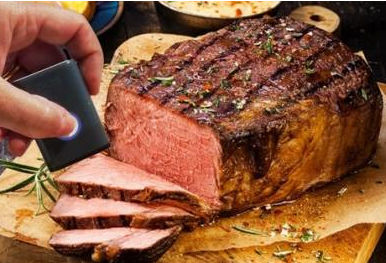 DietSensor uses SCiO technology from Consumer physics (near-IR spectroscopy) to let you know how many calories are in your individual food items. Dairy, gluten and peanuts make life very complicated for a growing number of people. Anyone with life-threatening allergies knows that having to be hyper-vigilant about food can pose some serious problems in social situations where you have no control over the food you are consuming. 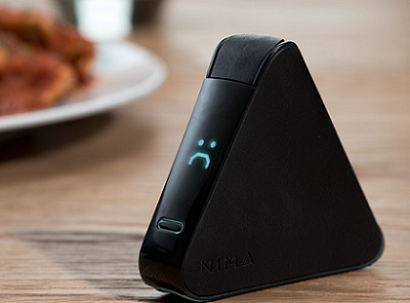 Using proprietary sensor technology, Nima will bring peace of mind, to mealtime. You put a piece of food into one of the one-time use capsule and the reader can detect the presence of gluten down to 20ppm. But will people shell out an extra $8 per meal, the cost of an individual test capsule? How fast is your metabolism? With Levl you’ll be able to measure your fat burning rate with a quick breath and the press of a button. Levl uses an innovative nanosensor to measure a molecule called acetone (a product of lipid metabolism) in your breath, outputting a score from 1-6, indicating whether you have an elevated fat burning state or not. Did you know that the temperature, humidity, CO2 levels, dust and volatile organic compounds in your indoor environment impact your health and comfort levels? 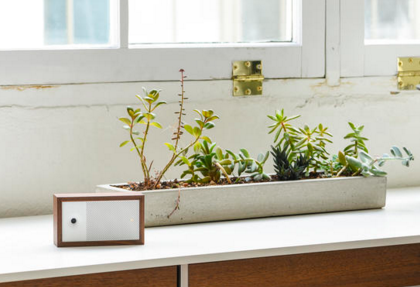 Awair helps you track and improve your air quality with advanced sensing technology. 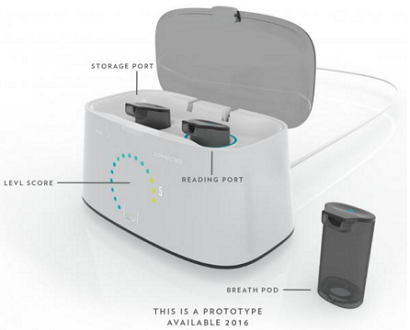 This wireless technology will help you improve the air you breath everyday. eCelsius is a non-invasive electronic pill that monitors the core temperature of the human body to alert users and their healthcare providers diagnostics before an illness occurs. 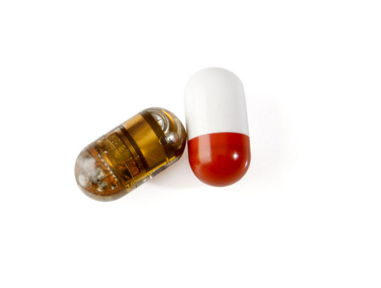 This miniature electronic pill communicates wirelessly to give an accurate measurement of internal temperature, with applications in sleep, sport physiology, clinical research, and hospital usage. It’s finally here – the world’s first smart bra. OmBra will help women monitor metrics such as heart rate, breathing rate and calories burnt during a workout with sensors installed in the lower part of the bra. Ombra can last up to ten workouts and is rechargeable like other wearable devices. Along with the OmBra app, women will never lose track of workout progress again.